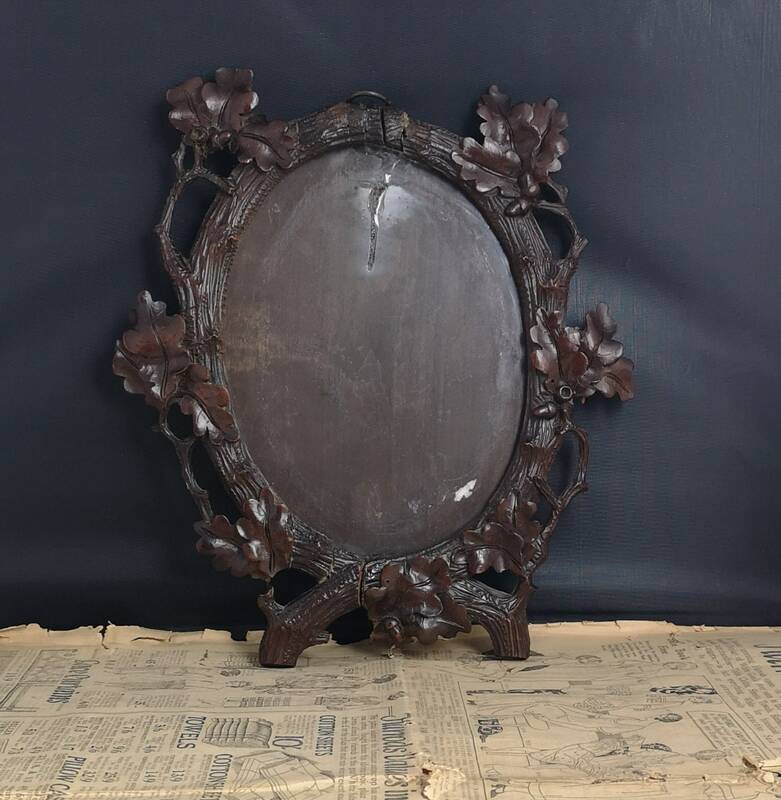 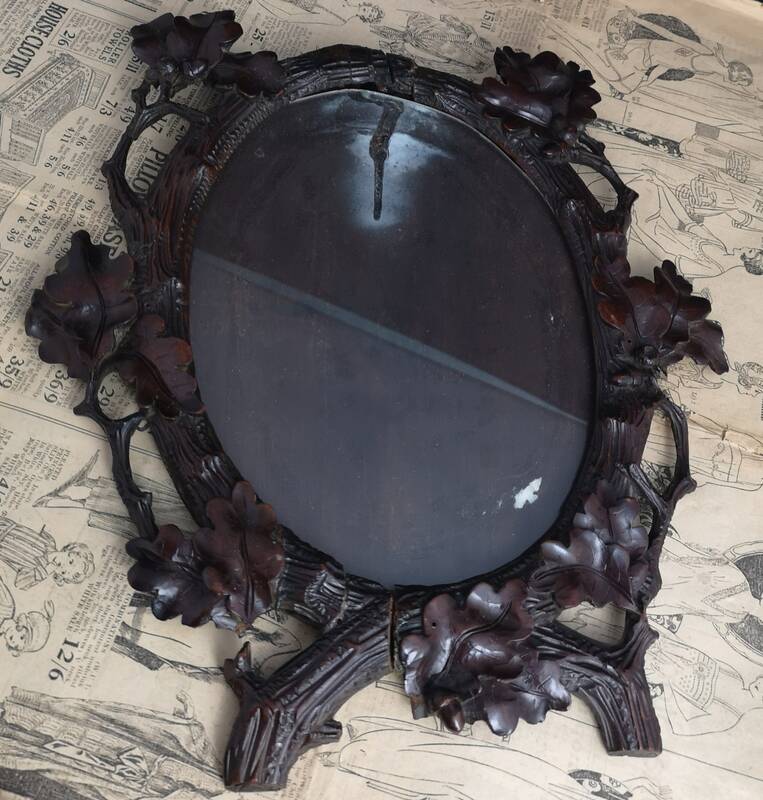 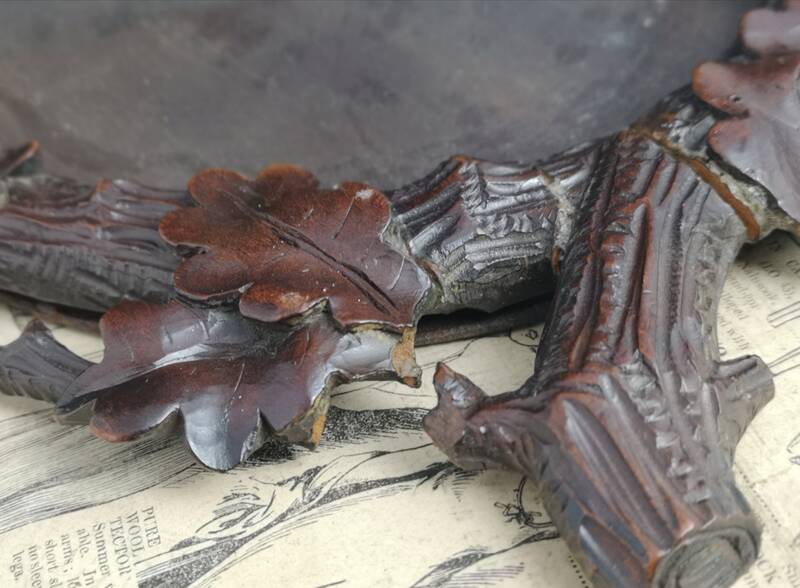 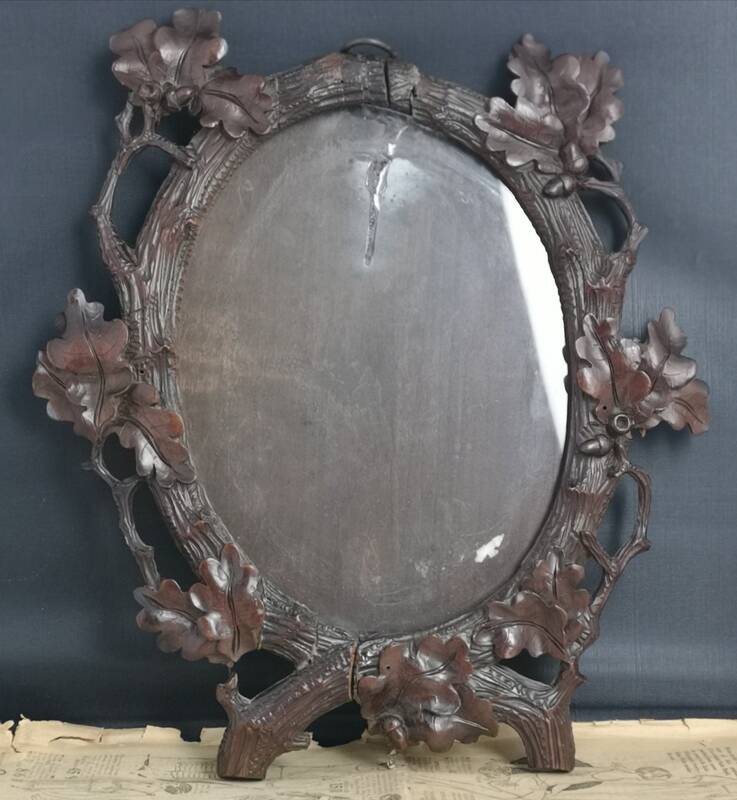 A charming 19th century intricately carved black forest picture frame. 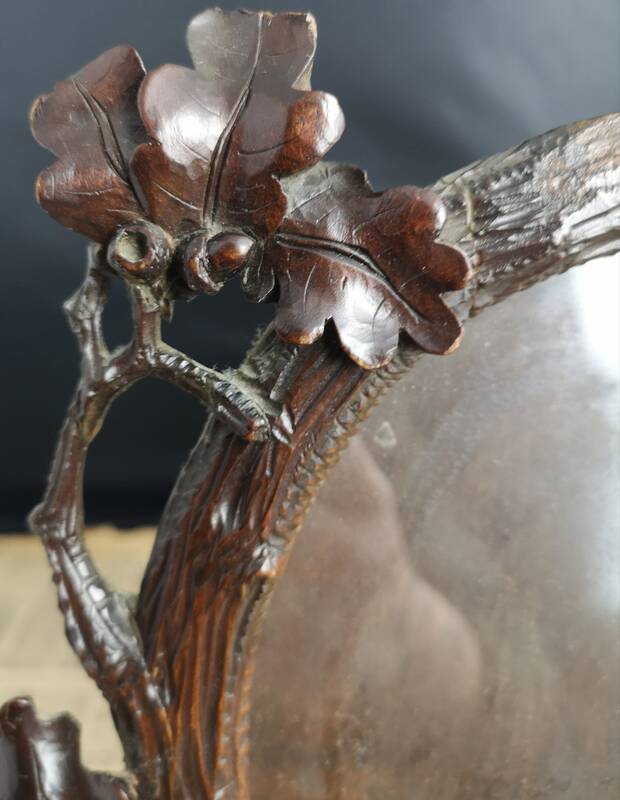 It takes the form of branches, oak leaves and acorns surrounding the oval glass centre. 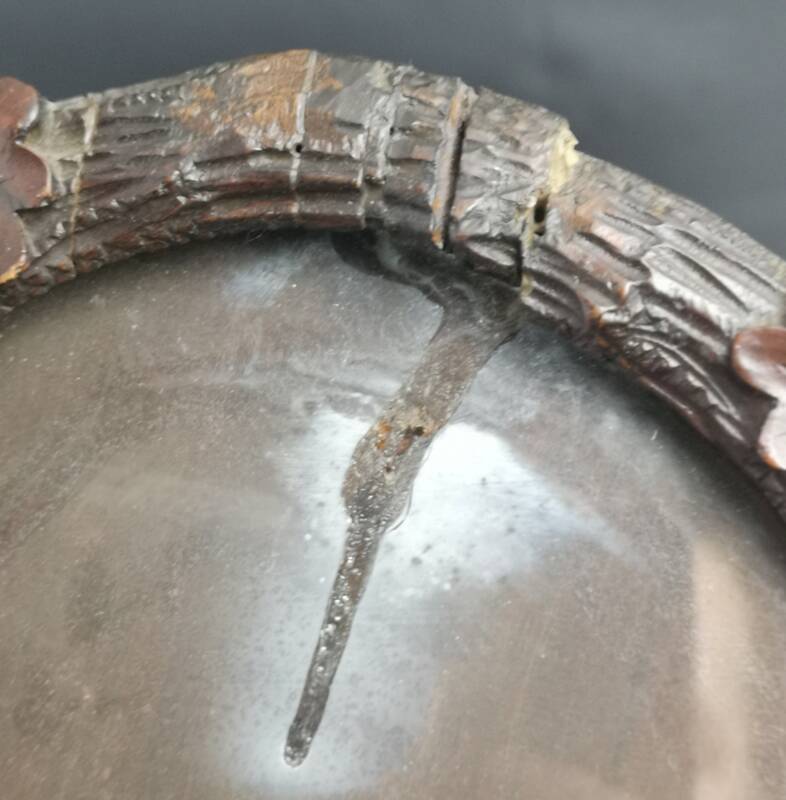 It has had a vast amount of old repair done to it and has some cracks and chips, the glass is free from cracks but there is a mark from an old glue repair to the wood. 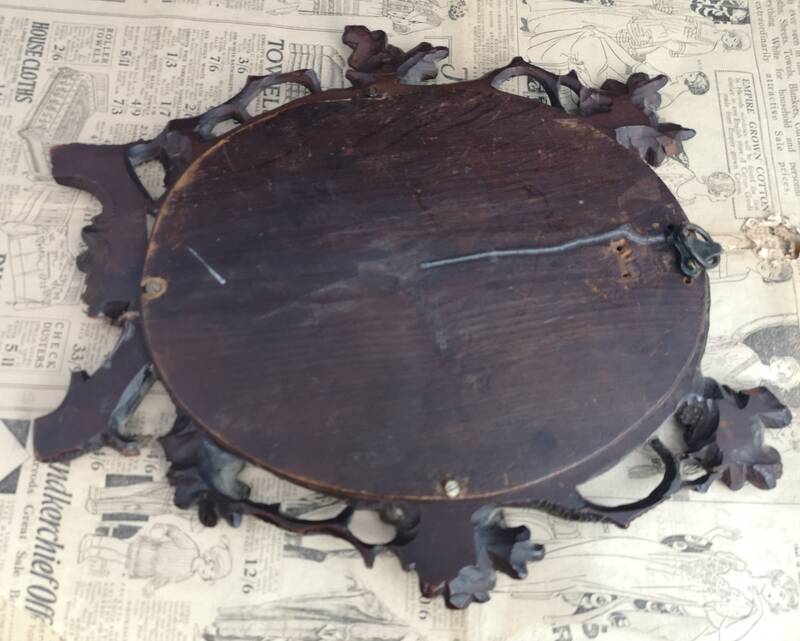 It has the original hanging loop and backing.